Today we have Joseph "JJ" Montanaro on the show. JJ is a Certified Financial Planner with more than 20 years of experience in the financial services industry. His daily focus has been to help families realize their goals and his advice has appeared in numerous outlets including the Wall Street Journal, USA Today, CNNMoney.com, MarketWatch.com, Military Spouse Magazine and the Washington Post and more. Prior to joining USAA in December of 2002, JJ owned and operated an office as a financial planner. Before entering the financial services industry, He served in the U.S. Army as a Tanker for six years on active duty and in 2009 he retired as a Lieutenant Colonel. He is a member of the Financial Planning Association, and earned his bachelor's degree in engineering from the United States Military Academy, West Point, N.Y.
Once completed, members receive personalized, actionable advice on how to improve their score. The score and advice update each time the member interacts with the tool – so the plan never goes out of date. 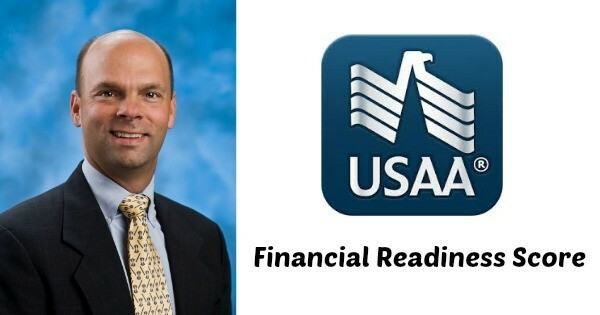 USAA has invested more than two years to build the patent-pending tool as part of its mission to facilitate the financial security of members and their families. Do you know your Financial Readiness Score? Do you have all of your important paperwork in order?